Mr. Schulze is a managing partner of the firm. He has practiced healthcare law on exclusive basis since graduating from Tulane University School of Law in 1998. He regularly represents acute care, rural, psychiatric, critical access, long term acute care and rehabilitation hospitals, physician practices, skilled nursing facilities, home health and other providers both locally and nationally on a wide variety of federal and state healthcare issues. A significant portion of Mr. Schulze’s practice involves counseling clients regarding compliance and defending clients in government investigations involving anti-kickback, Stark law and false claims act allegations as well as in RAC, ZPIC and other provider audits. Drawing on the insight gained through his audit and investigation defense work, Mr. Schulze regularly assists clients with evaluating potential compliance issues, conducting internal investigations, reviewing possible self-disclosures and implementing and auditing practical, efficient and effective compliance programs tailored to the particular client’s operations and needs. 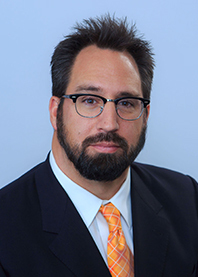 He has worked extensively with providers and physicians on entity financing, formation, licensure and enrollment; transactions; and negotiating and drafting joint-venture, employment, recruitment, medical director and other financial arrangements that comply with the Stark II and Anti-Kickback laws and regulations. Mr. Schulze also routinely advises facilities on conditions of participation, Medicare and Medicaid issues, governing board bylaws, medical staff bylaws, provider based entity attestations and other operational matters. “Final Rules on Reimbursement for Off-Campus Provider Based Departments.” Louisiana Hospital Association Impact Law brief, Volume 31, (No. 8). Co-written with Isabel Bonilla-Mathe. “Department of Justice Doubles Health Care Civil Fraud Penalties starting August 1, 2016.” Louisiana Hospital Association Impact Law brief, Volume 31, (No. 5). “OIG Issues Additional Compliance Guidance emphasizing Responsibility of Governing Boards” Louisiana Hospital Association Impact Law brief, Volume 30, (No. 3). “Avoiding and Managing CMS Audit Procedures: RACs, ZPICs and other appeals: Timelines, Recoupment, and Accrual of Interest.” Summary for Healthcare Financial Management Association. “Sixth Circuit Dismisses Racial Discrimination Claim by Surgeon Following Suspension of Privileges.” American Health Lawyers Association. (Email Alert) Co-written with Harry Shulman. “Physician Owned Hospitals Must File Annual Report by December1, 2013 to Comply with Stark II.” Louisiana Hospital Association Impact Law brief, Volume 28, (No.10). “The Affordable Care Act and Closing the Prescription Benefit Coverage Gap (“Doughnut Hole”) Medicare Part D Coverage Gap.” (Client-Alert: www.thehealthlawcenter.com.). “Hospital-Physician Employment Agreements: Sorting through the Aftermath of the Tuomey Decision.” (Client-Alert: www.thehealthlawcenter.com.). “District Court Case Highlights Provider’s Duty to Investigate Billing Errors under the False Claims Act-Audit Case.” Louisiana Hospital Association Impact Law brief, Volume 28, (No. 5) Co-written with Chris Sellers. “CMS Granted Sweeping Authority to Impose Administrative Moratoria on Providers and Suppliers Without Prior Notice and with No Right to Appeal.” Louisiana Hospital Association Impact Law brief, Vol. 28, (No. 2). “How to Counsel Clients about the Stark SRDP.” (Client-Alert: www.thehealthlawcenter.com.). “CMS Modifies Outpatient Supervision Requirements Effective July 1, 2012 from Inscrutable Standard to practical Guide: The Evolution of Outpatient Supervision Requirements.” Louisiana Hospital Association Impact Law brief, Vol. 26, (No.7). “New Local Coverage Determinations Create Major Compliance Issues for Hospital Outpatient Psychiatric Departments.” Louisiana Hospital Association Impact Law brief, Vol 26 (No. 7). “ACA Disclosure Requirements under Whole Hospital Exception.” (Client-Alert: www.thehealthlawcenter.com.). “CMS Ends Long Delay and Issues Self Disclosure Settlements. “Louisiana Hospital Association Impact Law brief, Vol. 26, (No.7). “Tuomey Hospital Ordered to Pay $237 Million for Violating Stark II: Lessons Hospitals Should Take from the Decision.” (Client-Alert: www.thehealthlawcenter.com.). “Simple Tips on Avoiding Stark II Violations.” Louisiana Hospital Association Impact Law brief, Vol. 25, (No.8). “What Hospitals Should Know about the OIG 2011 Work Plan.” EQ Health Solutions Newsletter, Vol., (No.) Co-written with Lauren Ambler. “OIG Identified Enforcement Priorities for 2011.” Louisiana Hospital Association Impact Lawbrief, Vol. 25, (No.10). Co-written with Lauren Ambler. “Fraud and Abuse Compliance Review No. 2: Physician Services Agreements.” Louisiana Hospital Association Impact Law brief, Vol. 25, (No.7). “Fraud and Abuse Compliance Review No. 1: Physician Services Agreements.” Louisiana Hospital Association Impact Lawbrief, Vol. 24, (No.8). “Changes to False Claims Act Present Greater Risks to Healthcare Providers.” Louisiana Hospital Association Impact Lawbrief, Vol. 24, (No.11). “Significant Changes to Stark II Exceptions Go Into Effect October 1, 2009. Louisiana Hospital Association Impact Law brief, Vol. 24, (No.8). “Hospitals Need to Prepare Now for CMS’ New Stark Compliance Audits.” Louisiana Hospital Association Impact Lawbrief, Vol. 24, (No.6). “Life after Boren: The New Public Process and the Resurgence of Equal Access to Care.” Federal Health Lawyer, Vol. (No.). “Health Reform Changes to Fraud and Abuse Laws: What Providers Need to Know” – Louisiana Hospital Association 21st Annual Health Law Symposium, Baton Rouge, Louisiana.